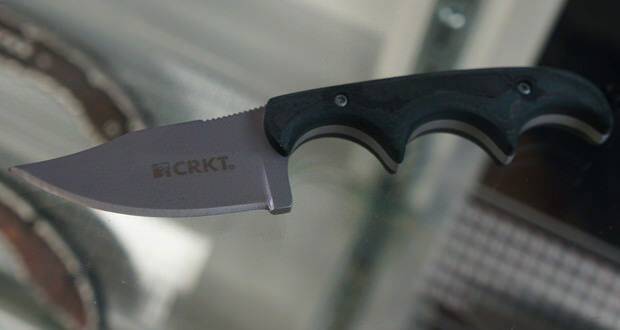 CRKT Minimalist Bowie knives are very small and lightweight which give surprising comfort and control thanks to the unusual geometry. 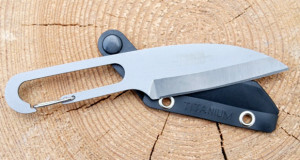 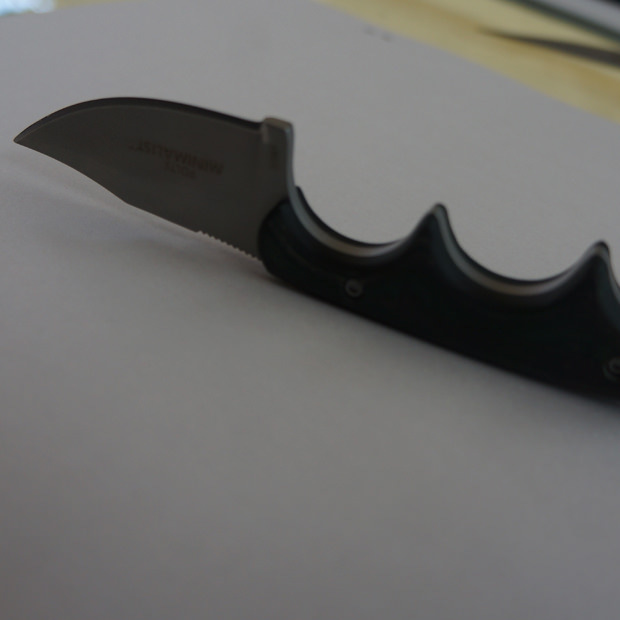 This knife has a full-tang blade and the hand-contoured green-black resin handle has three finger choils and friction grooves for the thumb. 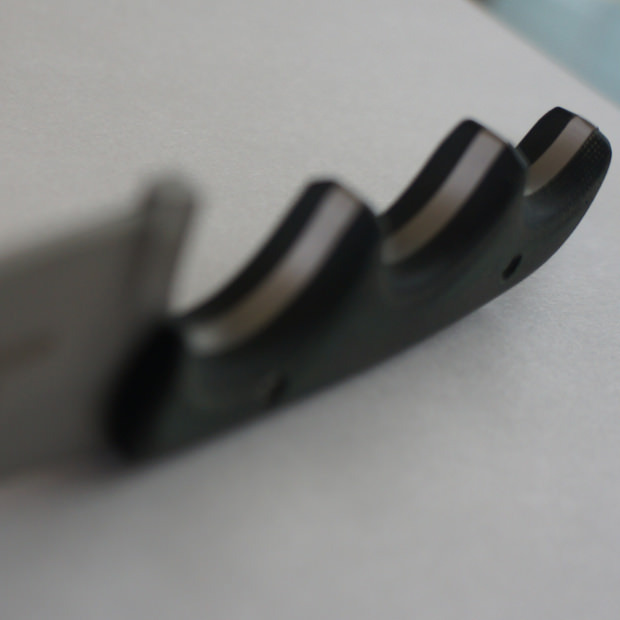 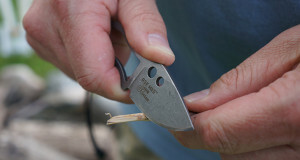 This handle is really functional for a wide variety of daily cutting tasks and small size is great for any camping trips.